Executive support for new and emerging technologies poses significant challenges as little published evidence of success typically exists for technologies in early phases. Perceived risks are high and barriers to obtaining corporate investments and peer support are also equally high. However, leadership is about having a clear vision of the future business benefits of an innovation long before it becomes self-evident to others. Leadership is also about delivering a solid strategy of execution that provides the right level of fertilization for a nascent technology to develop and succeed despite the many headwinds that might emerge. From the very beginning, Wells Fargo, under Ms. Littlejohn’s executive leadership, as head of Technology Strategy, Architecture, and Innovation, and more recently Internal Innovation Strategies, has been a major advocate of the FIBO initiative, contributing significantly to its development, growth and innovation. Sherrie will discuss her journey with FIBO and her vision for the future of data in the enterprise. Sherrie Littlejohn is a recognized expert in leading successful large-scale, technology-based transformation initiatives in two highly regulated industries. She brings over 30 years of experience in strategy, architecture, development and operations, enabling business opportunities in financial services and telecommunications industries with a keen eye to culture shifts, change management, and talent management. She is a catalyst for designing and implementing innovative technology solutions with a customer and end-user focus. She is valued for her expertise in assessing overall IT technology programs for manageability and capability to improve customer service for the enterprise and its customers. Littlejohn joined Wells Fargo in July 2002 and currently leads the Internal Innovation Strategies team that includes Innovation Labs, Advanced Technology Business Development, and the Enterprise Patent Office. Her key responsibilities include driving enterprise technology idea generation as a catalyst for transformative change across the company as well as steering advanced technology business development to grow and manage relationships with IT industry leaders, universities, venture capitalists and private equity firms. Additionally, she leads the team that guides the company’s patent strategy and delivery. She serves as executive advisor to the Women’s Team Member Network (Wells Fargo) and is a speaker, host, and moderator for Wells Fargo diversity initiatives. She is also an engaging speaker on several technology topics. Prior to her current role, she was head of Technology Strategy, Architecture, and Innovation (TSAI), where she led enterprise-level technology planning, strategy development, architecture, innovation, and transition services. Her key responsibilities included evolving the Wells Fargo IT strategy, leading efforts to continuously develop architecture consistency and standards, driving enterprise technology research and development capabilities and innovation as well as leading the Technology Industry Relations function. She worked with enterprise partners to create competitive advantage and customer impact for the business while driving for standards in solutions. Before TSAI, she was head of Enterprise Architecture and IT Strategy with responsibility for enterprise architecture & strategy (including payments), critical systems review, and the enterprise technology strategy, governance, and operating model program with emphasis on big data, information security, risk, cloud, mobile, and social. 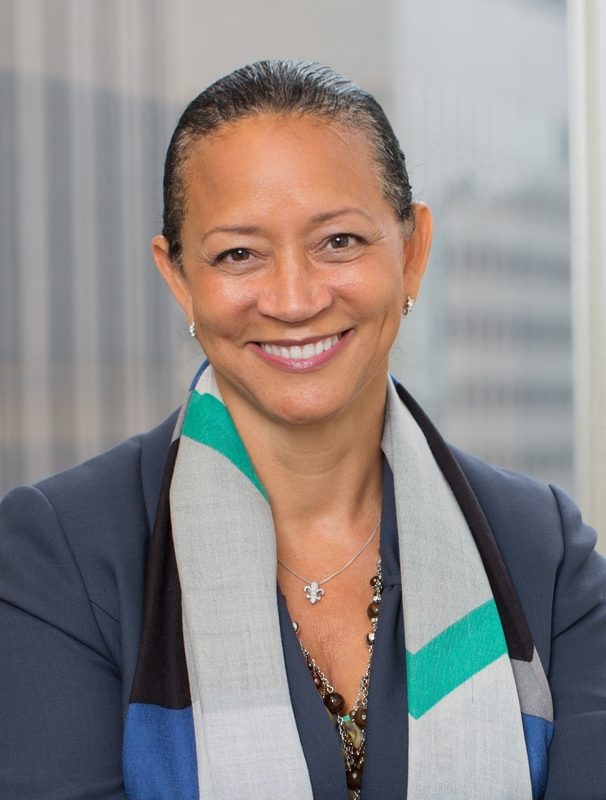 She also served as executive advisor and president of Black/African American Connection (Wells Fargo team member network). Before that, she was head of Network Services and Operations. As an active member of the community, Littlejohn sits on the Illinois Institute of Technology Board of Trustees, Alumni Board (she is also the Alumni Admissions Chair), Audit & Compliance Committee, Academic Affairs Committee, and the Computer Science Advisory Board in Chicago, IL. Additionally, she sits on the Board of Advisors, CTO Forum and the LEMO Foundation Advisory Board. She is a member of Black Data Processing Associates, Information Technology Senior Management Forum (ITSMF), co-chair of EMERGE (Women’s Leadership Forum ITSMF), and involved with ITSMF’s Management Academy as a mentor. She formerly sat on the Microsoft Global Accounts Technical Executive Council, the local YMCA board of directors, and has been involved with the National Charity League Rolling Hills Chapter in Danville, CA. Littlejohn’s distinguished career and achievements have earned her the honor of being named among the Bay Area’s “Most Influential Women in Business” by the San Francisco Business Times and recognized as one of the “50 Most Important African-Americans in Technology” by San Francisco-based publisher eAccess Corp. She was honored with the “Madam C.J. Walker Award” by the National Coalition of 100 Black Women in San Francisco, CA and with the “Modern-Day Technology Leaders Award” presented to her at the Black Engineer of the Year Awards Conference in Washington, DC. For her dedication and inspiration to others, she received the prestigious “Member of the Year Award” by the Information Technology Senior Management Forum. Littlejohn received her B.S. in Mathematics from Xavier University of Louisiana and her M.S. in Computer Science from Illinois Institute of Technology, Chicago, IL. She completed the Executive Business Program, Kellogg School of Management from Northwestern University in Evanston, IL.